Mr. Frasik passed away Monday, January 21, 2019 at his home, age 74. He was born November 15, 1944 in Bay City, Michigan to the late Conrad and Stella (Senkowski) Frasik. Dennis married Karen L. Chamberlain in Texas in 1963 and she predeceased him on March 19, 2018. He was a veteran and served his country with the US Air Force during the Vietnam Era. He retired from Saginaw Steering Gear in 1998 after 30 years of dedicated service. Dennis was a life member of the VFW, DAV and AM Vets. He enjoyed fishing in the U.P., good cigars and traveling to Luckenbach, Texas for vacations. Surviving are three children: John (Susan) Frasik, Shelia Frasik-Zimmerman and Patrick Frasik, ten grandchildren: Nicole, Melissa, Emily, Peter, Matthew, Madeline, Shane, Krissy, Ryan, Katie, seven great grandchildren, one sister Judith Pemberton, one sister-in-law Elia Frasik and one brother-in-law Jerry (Janet) Chamberlain. 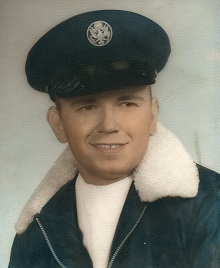 Dennis is predeceased by one brother Jim Frasik and two brothers-in-law, Jim (Sherry) Chamberlain and Jack Chamberlain.